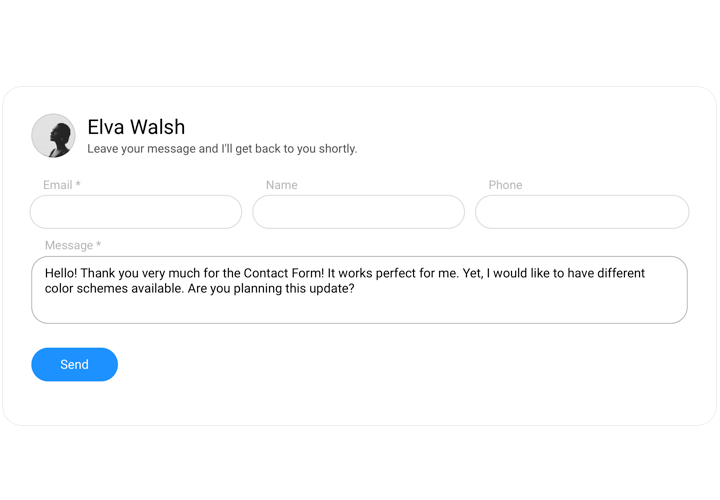 Our Joomla contact us form extension – helps with all possible requirements in collecting impressions and enquiries from users of your website. 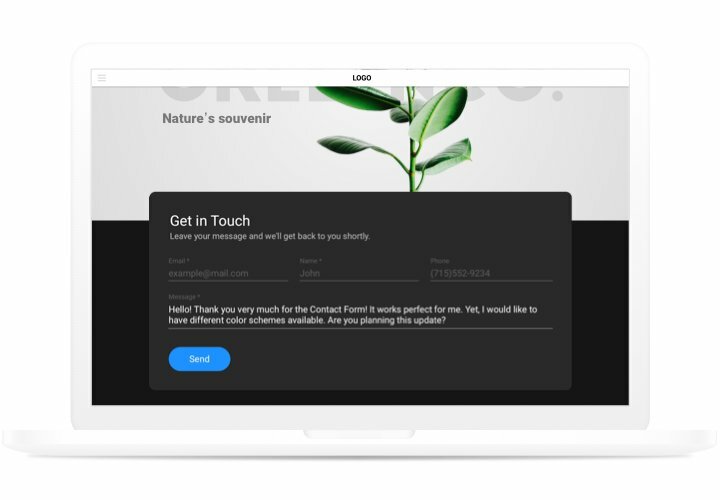 Align the necessary fields for filling, find the optimum layout and customize the color scheme, to inspire your visitors even more to leave request for products or feedback about your business. Get reviews, requests and send answers to the letters of the visitors of your website! Grow the number of enquiries from the site. Address the most important questions and doubts of your users, and don’t let them end up with the website. 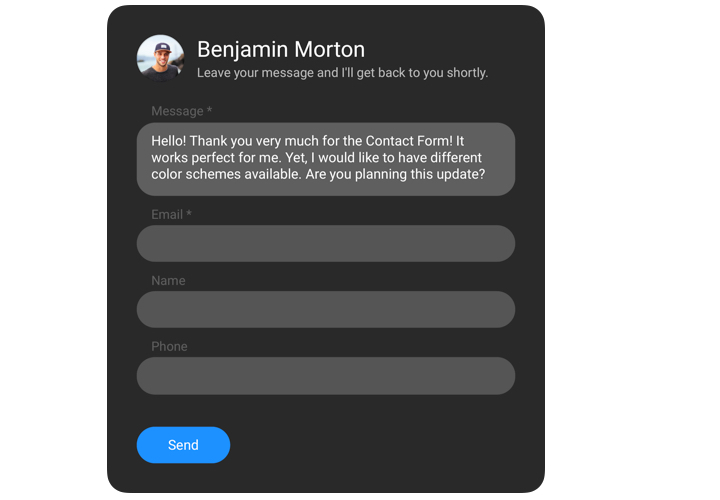 Make use of our poerful tool for shaping useful communication with customers. Have more opinions about products or services. Impressions of your customers are highly useful for the enhancement of the business. With the help of our simple contact-form, you will start to take more reviews from your site! 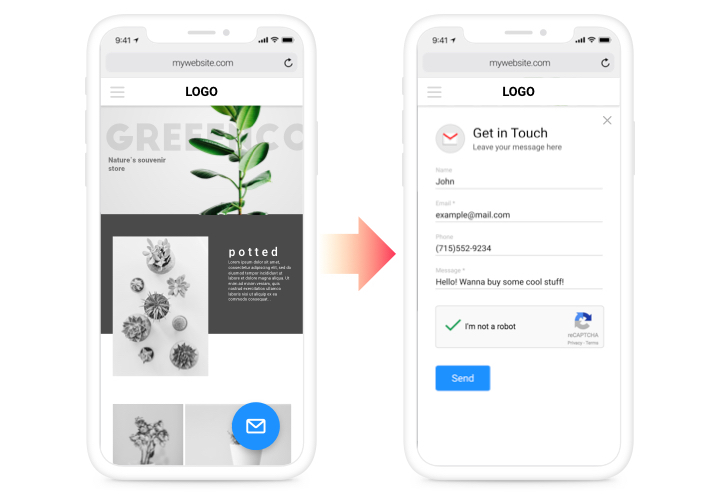 Thanks to useful layouts, flexible design and personalized «Thanks You» notifications, you demonstrate to your users their importance for your company. Study our instruction, to install contact extension to your site. You will not need to have knowledge in web development and total setup time is about 3 minutes. Get the extension and add it to the site. Acquire the extension using «Download» button from Contact Form page on Joomla Marketplace and embed in on your website. Set up and adjust the extension. In «Install Extensions» section, on «Upload Package File» tab, choose Elfsight Contact Form. Next, open «Components» section, click the installed extension and apply the needed settings. 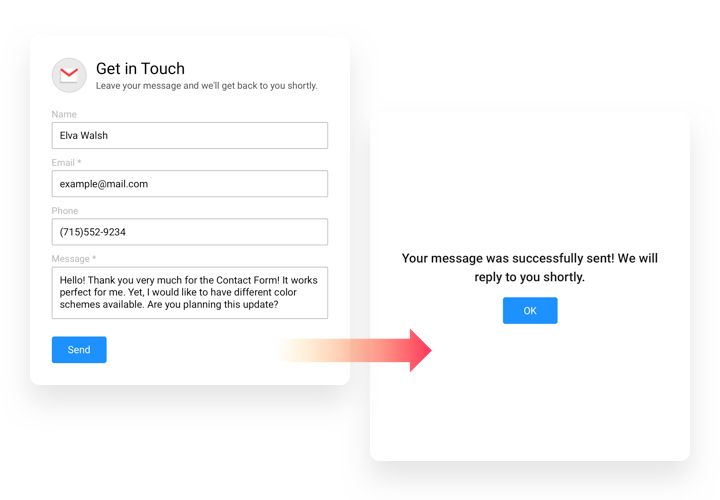 Add Form extension on your site. The individual code, obtained after installation, should be added to the page where the widget will be set. Then save all the results. Widget installation to Joomla is complete!. Visit your Joomla website, to view your results! Do you have any queries while applying the instruction or creating your form? 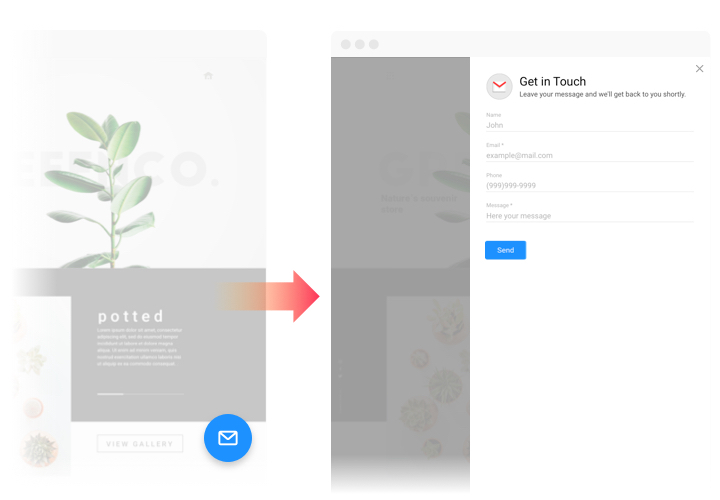 You may find it useful to read a detailed manual «How to display Contact form on a Joomla website» and try to integrate it one more time on your own, or contact Elfsight support team with detailed explanation of your query, and our team will be glad to help. Construct Joomla Contact Form absolutely free!